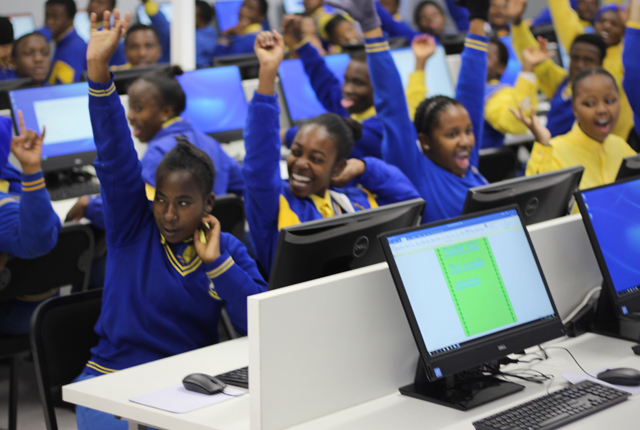 Westcon Comstor Sub-Saharan Africa has partnered with The SAME Foundation to renovate, rebuild and fully kit out the Computer Applied Teaching (CAT) Lab for the Diepsloot Combined School. As part of the project Westcon Comstor fully sponsored the project, funding the rebuild of an aging Lab that required a full revamp, purchasing 50 all-in-one computers, all the networking equipment, furniture and teaching aids needed in the CAT Lab. Furthermore, a group of volunteers from the company assisted with the project by donating time to help beautify and ready the environment for its new trappings. 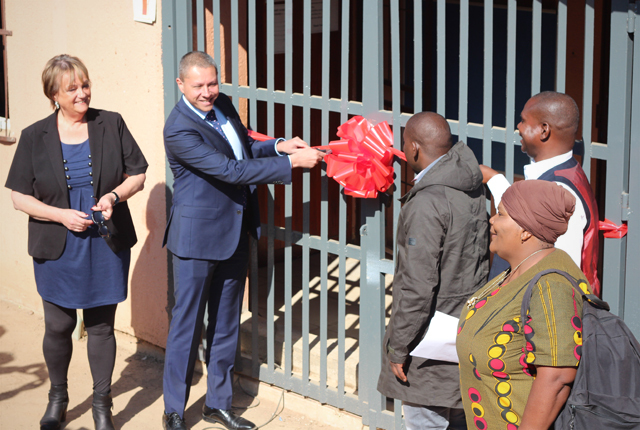 The Diepsloot Combined School is a no-fee government school that is situated in the heart of Diepsloot, supporting the education needs of an extremely poor community. The school is the educational home of children from grade 1 – 12. The new CAT Lab will afford the children the opportunity to write their computer exams, an education requirement from the Department of Education, at their own school. In the past these exams had to be written at private schools in the area who were willing to accommodate them. “We are extremely grateful to Westcon Comstor who have partnered with us on this project. Their commitment and contribution will offer these children access to computer equipment that is reliable and workable. Furthermore, it will give the teachers at the school, access to the resources they need to deliver the curriculum effectively,” states Dianne Pols, Executive Director at the SAME Foundation. “We have personally seen similar projects dramatically increase the pass rates of students at a school where a similar contribution has been made. If it were not for the corporate donors, like Westcon Comstor, the SAME Foundation wouldn’t be able to complete our work and our passion, which is ultimately the upliftment of communities through strategic projects in the health and education sectors,” ends Pols.